Open up any magazine focused on contemporary architecture and construction, and there is no doubt that wood is coming back in style. Its well-documented renewability, versatility, and elegance have enticed many architects to embrace mass timber as a building material, including new technologies such as glued laminated timber (glulam) and cross-laminated timber (CLT). These innovations have opened the path to taller timber buildings. Amidst all this excitement, it is easy to forget that timber buildings are nothing new. Humankind has been building with this abundant forest product for centuries. Modern commercial timber construction currently relies heavily on milling to standard sizes for a final product that is more building block than tree. As attention turns toward the power of trees to heal and enliven built spaces, how can we work with the naturally irregular forms of trees instead of subjugate them in the practice of architecture? We may draw inspiration from the master carpenters of Japan, who have been building sukiya style tea houses using round timbers for centuries. Despite the specific nature of this building typology, a deeper consideration of each tree’s inherent character provides the framework for the profession’s attitude towards materials. Before construction, a shokunin (craftsman) examines the tree and works with its original qualities; orientation of the grain, anticipated shrinkage, and site condition where the tree grew, to name a few. Japanese carpentry utilizes a complex system of precisely hand-tooled connections that maximize efficiency and minimize waste and processing. Examples of such connections, as well as larger timbers and assemblies, are on display at the Takenaka Carpentry Tools Museum in Kobe, Japan. 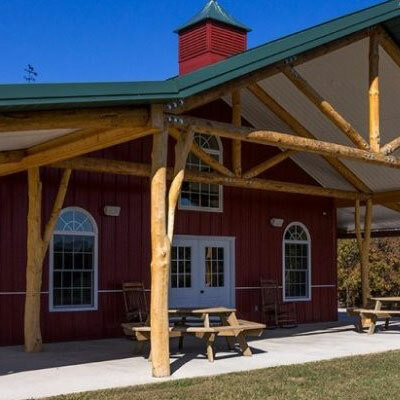 By utilizing the craftsman’s eye as a resource, these traditional timber frames are assembled to exhibit strength and durability rivaling that of many modern structures. The knots and geometric idiosyncrasies of each tree are seen by some as defects, but to others they are marks of beauty. The Japanese concept of wabi-sabi, the acceptance of imperfection and impermanence in all things, springs from a philosophy of humility before nature. The industrialization of the building industry initially promoted an attitude of overcoming nature’s flaws instead of seeing them as opportunities, but designers all over the world have begun to catch on to the concept of doing less to nature in order to achieve more. This can present itself in built space as deliberately unfinished surfaces, salvaged and weathered elements, or simply materials left close to their natural state such as round timber building and live-edge furniture. The philosophy embraces the unpredictability of nature in a careful and understated manner, without sacrificing quality of atmosphere or craftsmanship. At WholeTrees, our team of expert carpenters works together to select, process, and fabricate trees too small to be milled into finished building elements. Frequently, we get inquiries wondering how organically shaped trees are able to bear loads competitive with conventional building materials. The answer lies not only in the integral strength of the whole round tree, but also in our system of tried and tested timber connections. These engineer-approved details allow WholeTrees’ craftsmen to ensure that the timbers function synergistically, while preserving the individuality of each tree to render it visually and structurally powerful when installed. Steel and concrete may be more predictable to manufacture than small-diameter round timber and other forest products, but the sheer variety and abundance of wood continues to draw architects and builders to it as a structural material along with its inherent warmth and numerous potential applications. Amidst the excitement currently being stirred by advancements in wood engineering, it is important to remember that not all mass timber is characterized by flat surfaces and straight lines. Heavy timber, the chosen medium of countless craftsmen over the ages, is an ancient material with a rich legacy in many cultures that modern architecture continues to draw upon. The key to utilizing wood in spaces that foster respect towards nature is the adoption of an attitude towards building materials that deeply considers the origin of each timber, from forest to factory.